Because of forthcoming budget cuts Newcastle City Council is currently running a consultation exercise regarding the future of Newcastle’s parks, and one of the events will be held at the Jesmond Dene Visitor Centre. The Newcastle Parks Engagement programme started on 13th February runs through until 21st April and visits Jesmond Dene on 11th March. Parks are a critical part of the city’s green infrastructure, and an important attraction when it comes to appealing to new visitors, new residents, businesses and students, says the programme. But, there’s likely to be less money to fund them in the years ahead. The council stresses it want to keep parks in public ownership, and that they should remain free to use. The council says this is a “work in progress”, and the engagement programme aims to hear YOUR views. 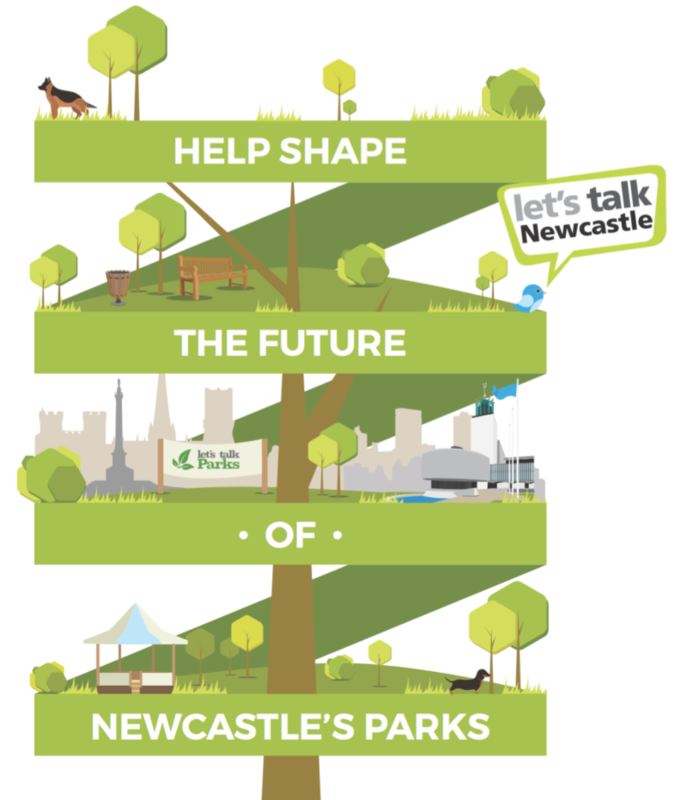 You can started by visiting letstalknewcastle.co.uk, and completing a short online survey. This will direct you to a more in-depth discussion at: letstalkparks.co.uk. The ‘Explore’ section of this website is due to go live on Monday, 13th March. This part of the engagement programme is being delivered in association with Newcastle University’s Open Lab.